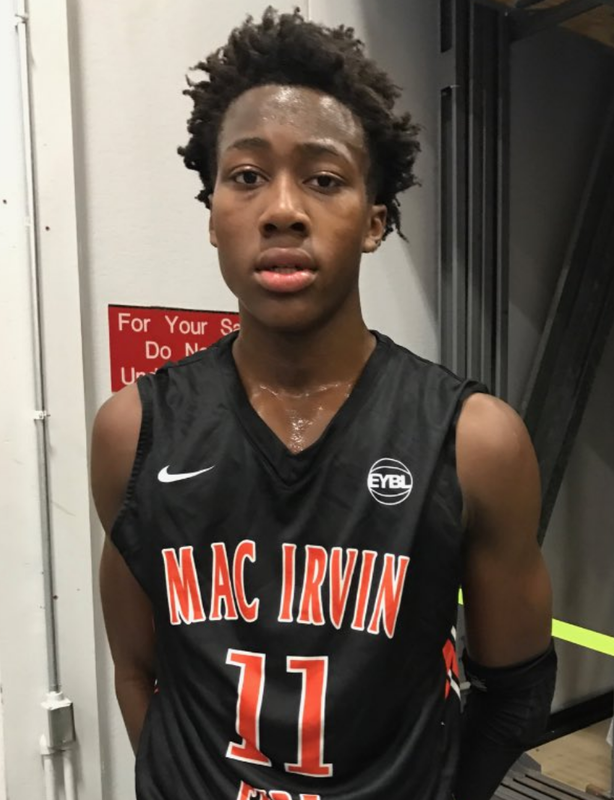 2018 top prospect guard Ayo Dosunmu is a man on a mission. His play on the court shows the hunger in his veins. Dosunmu is a high 4 star player out of Chicago but I rate him as a 5 star player. In the inner city of Chicago it is rough with many fatal shootings a week but one thing that helps and inspires inner city kids is sports. Dosunmu is breathing proof of that inspiration. He is the no.1 player in the state of Illinois, no. 4 shooting guard, and no.32 in the country. Dosunmu can score from anywhere, he is relentless on the court and you will feel his presence. He thrives on a player challenging him one on one and he just loves to compete against the best, you can tell by how he steps up in the big moments. Dosunmu is rated as the 20th best player in 2020 by NBA Draft Room. LJ: 42 points against 5 stars Jahvon Quinerly and Naz Reid. I saw your face how you were looking before the game. Do you play the game with a chip on your shoulder? Do you feel underrated? Ayo: I am very competitive. Every time I step on the court I take every match-up personal. At this point in my career I no longer feel underrated. I'm doing an interview with you, Sir; I’d like to think I've awakened the few sleepers that were out there. LJ: What is the strength of your game that commands the most impact? Ayo: I hate losing! What drives me is my competitive spirit in everything I do. LJ: How is the recruiting process and do you have any top schools? Ayo: The process has been both exciting and exhausting. I am appreciative of every offer extended, the adrenaline of a new offer never gets old. However the reality that I can only pick one is sometimes overwhelming. It would be an honor to attend any of them, they are all top notch schools both in the classroom and on the court. I’ll be cutting my list soon. Depending on when this article is released I may have done so already. LJ: What do you offer to an NBA team and do you feel you can impact right away? Ayo: My basketball IQ (I am a constant student of the game), leadership, competitiveness, and the will to win. I will, of course, grow and develop my on-the-court skills but without those four pieces, skill becomes irrelevant. LJ: I know Chicago is going through a vicious time. How do you and your family deal with the city and stay away from the trouble. Have you as a family had any one lose their life in the rough inner city? Ayo: We are a close family—usually if you see one Dosunmu another one is not far away. My parents are very involved in our day-to-day lives, but I know that even that can't ensure that we will never encounter violence. At this point we just have to always do the right thing and continue to pray. I love my city, but unfortunately, at a young age I experienced the loss of one of my best friends Darius Brown aka “Bay-Bay”, who at the age of 13 was gunned down while outside playing basketball in a park filled with kids. I was 11 and to this day it has been the single most devastating thing I've gone through. He's the reason I wear #11—he died in 2011, I was 11 years old and he wore #11 on our AAU travel team. LJ: What were your averages in AAU? Ayo: In 16 games I averaged 23.2 pts. per game, shot 79% from the FT line, 3.9 rebounds per game, 3.1 assists per game, 1.4 steals per game. LJ: What was your best game in high school number wise? Ayo: My best scoring game was last year’s season opener where I had 52 pts., but in my opinion, my best performance was the game against NJ Plaza's where I not only finished with 42 pts., but I was 16/21 from the field with 8 assists, and I did it against four of the top 100 players in the country. That's how I measure my talent; you can't be the best if you cannot compete and measure up against the best. LJ: What were your numbers at the end of last season? LJ: Do you have a player you want to play against? Ayo: No brainer: KOBE in his prime! LJ: What type of character is a team getting with Ayo Dosunmu? Ayo: I'm a hardworking, fierce competitor; I don't know any other way to play. I've been taught since day one to play at the highest level every time I step on the court. Some called me cocky, they said I wasn’t a “good teammate” because I took competing very serious even at 10 yrs old, I HATE LOSING! I’ve grown and matured a lot, I’ve learned how to communicate with my teammates so that we’re always on the same page: always play the game the right way, play hard, and do everything within our power to win. LJ: So everybody is a victim on the court. You are making big statements. What high school player do you want to face right now? Ayo: At this level the guys I'm playing with and against are guys I've played with or against for over 10 years. The philosophy we all have with each other is "there are no friends on the court”. For thirty-two minutes we are competitors, show no mercy, always play to win. I've faced them all, that's what I love about playing EYBL, every week I'm playing elite players, every week you're matched up with one or two players ranked in the top 50. Being identified as an elite player your mission should always be to compete with other elite players, we make each other better and that’s how it should be. LJ: Are you a one and done? Ayo: I don’t know about “one-and-done,” but going to the league is definitely one of my goals. 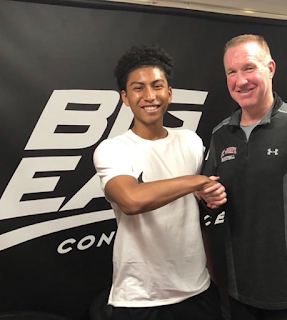 I’ve been told by my dad, who was my first coach and knows every strength and weakness of my game, Coach Nick, Coach Mike and several of the college coaches that I’ve spoken with what I need to do to make that happen. I want it, I want it bad, so I’m going to do everything in my power to reach that goal. I will go to the league. I BELIEVE THAT! LJ: I want to applaud you on your success Ayo you are an inspiration to the inner city of Chicago. You keep focus, I'm proud of you man.